It's all about the pork. I love pork. If you know me at all then you know that I'm a huge fan of the Almighty Pig. 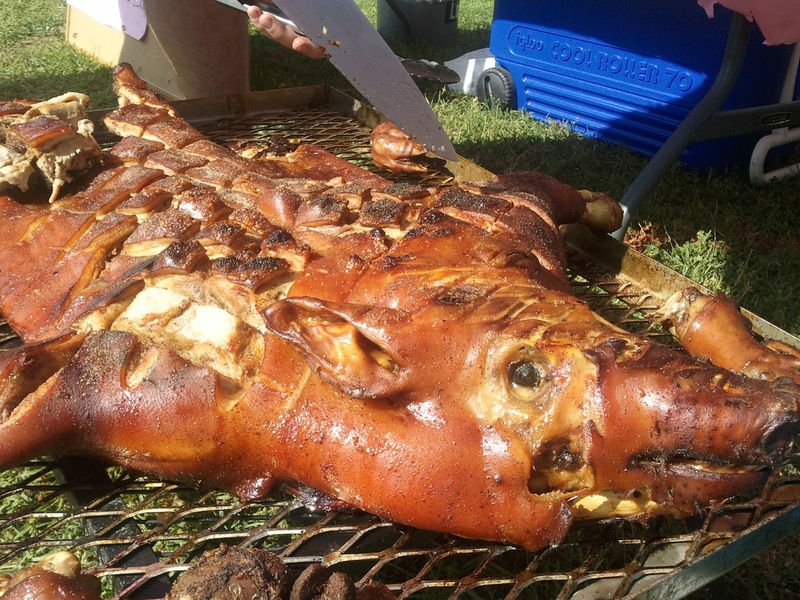 I love it in all its forms: ground, cured, smoked, slow cooked, fried, baked, roasted, braised, grilled ... 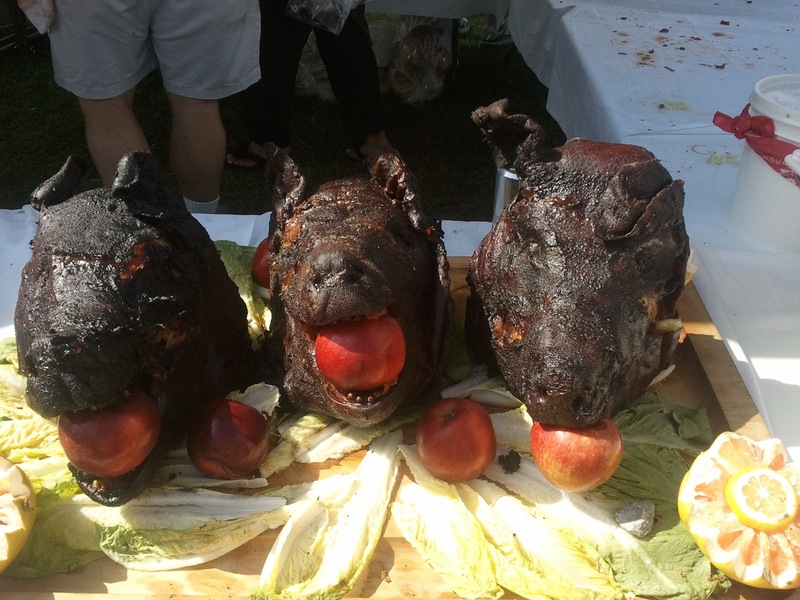 I'm drooling just thinking about pork. 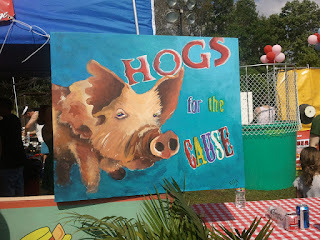 This weekend was an event that I can only equate to the feeling a child has when they first go to Disney World: Hogs for the Cause. The short description: a bunch of barbeque teams compete in various categories, all the while raising money for pediatric brain cancer. 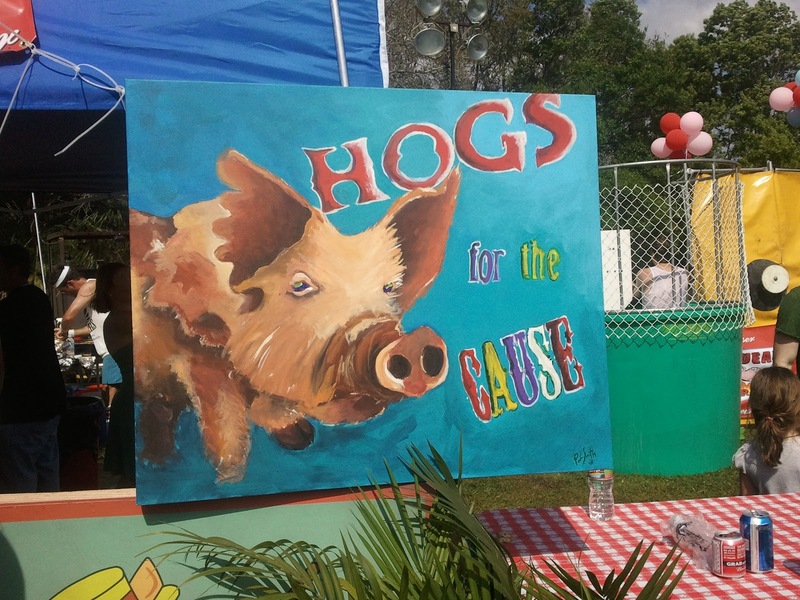 You can read a history of the event at the Hogs for the Cause website. This year was their biggest year and I hope they were able to raise a ton of money. There was a ridiculous amount of people present at "City Pork", drinking NOLA beer and eating some of the most amazing barbeque you can find. Not only that, but Hogs also stacked the event with some great live music. This team was about to present this pig to the judges. Amazing. There was so much good food that I don't even know where to start. My phone crapped out on me about 45 minutes after getting there so I was only able to snag a few pictures. K took a bunch of photos, so as soon as she can sort through them and upload them I'll post a link (although they'll likely show up on her blog soon). Also, head on over to #meathello. If you went to Hogs and have some photos to share, feel free to submit them there! 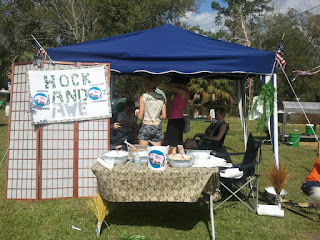 Team Hock and Awe had some of the best tacos. Awesome slaw! And to do all that sausage making and cooking to help raise money for a great cause? Well then, eff yeah. Even better! I'll see you there next year, Hogs. i would love to try some of your pork liver sausage. 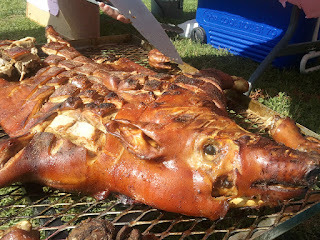 im jealous you got a piece of the pork cheek from the Squeal tent.